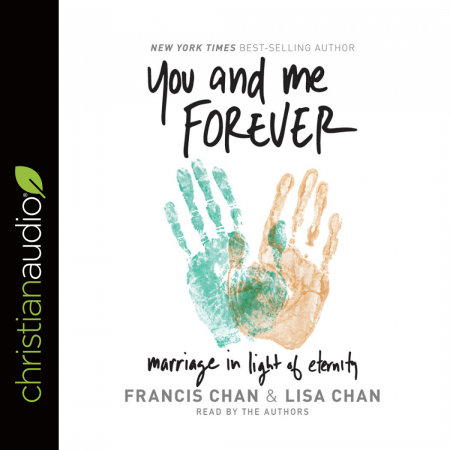 You and Me Forever by Francis and Lisa Chan is a foundational, God-centered, and eternity-minded book on marriage. Much of the material I originally heard from a marriage conference the Chans spoke at a few years back. I do not read many books more than once, but this is a resource that I will continually reference and pass on to others. It is very much different from many other marriage books in that the focus of the book is not about marriage, it is about God. Marriage is just a gift he has given to us. Francis and Lisa Chan also do a great job narrating the book, which adds to the overall quality. Hopefully, this book will bless you and challenge you to keep the focus of your marriage on God, and the rest will naturally fall in line. I received this audiobook free of charge from christianaudio.com in exchanged for an honest opinion and was not obligated to provide a positive review. Please visit http://christianaudio.com for more info.